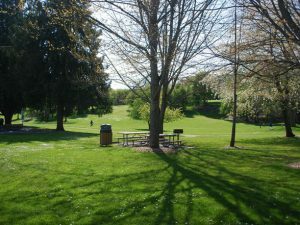 This nabe located in southwest Seattle is almost entirely residential in nature, providing little in the ways of shopping or dining. Gorgeous tree-lined streets flow downhill towards Puget Sound and many houses offer stunning views of water and the Olympic Mountains. Foliage dominates the streets and yards, preventing the addition of sidewalks, but this nabe’s sleepy nature allows street walking without the fear of pedestrian-versus-car encounters. Proximity to the densely populated areas of Seattle and excellent transportation options give residents the ability to remove themselves from their quiet little nabe for a night out on the town. Let’s be honest, you’re not looking to move here if you’re in your early twenties and can’t sleep without noise buzzing outside your window. You’re not looking to visit here unless you’re visiting family. Let’s say you just got a pretty good job though and need a nicer house or apartment to get good sleep at night. Maybe you’re starting a family. Maybe you’ve been biding your time and are finally ready to move out of your college neighborhood. Maybe you’re going to visit your brother and his wife cause you just became an uncle or an aunt. This is the nabe to do one or all of those things. It’s a quiet residential neighborhood with all those quiet neighborhood pros. There’s trees (quite a few), a nice view of the water (the Sound), and quiet (obviously). The cons? There’s not a bunch of shopping, bars, and restaurants. The nearby 509 highway serves as access to all these things though. Meanwhile, you stay far enough away from the bustle of the city to leave it all behind at the end of the day. If you’re looking to live in a neighborhood within walking distance of shops, restaurants, and grocery stores, Arbor Heights is probably not for you. If you’re looking for a community with friendly neighbors, tree-lined sidewalks and gorgeous views of ocean and mountains—you may be in the right spot. Arbor Heights is an almost exclusively residential nabe, which gives it the benefit of moving at a slower pace than the rest of the city. Most weekends you’ll find families out and about, working in yards or going on walks and bike rides. The houses are definitely pricier in this area, but you get what you pay for—many offer full or partial views of Puget Sound, Mt. 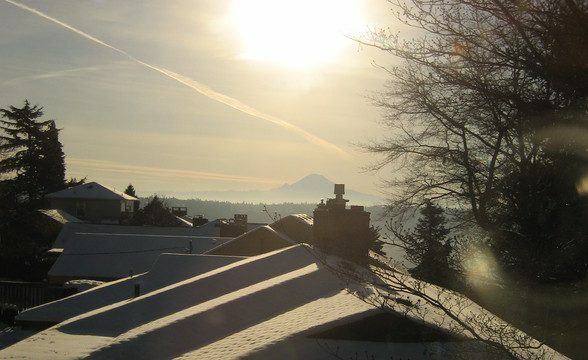 Rainier and the Cascades. There is a real sense of community that comes from living in such a sleepy neighborhood, as can be seen during the summers at the members-only Arbor Heights Swim and Tennis Club. While Arbor Heights does not have restaurants and amenities right at hand, it’s by no means cut off. Bus service is regular, and it’s about a twenty-five minute drive or ride to get Downtown. Westwood Village—with grocery stores, Barnes & Noble, Target and more—is a mere five minute drive. Next-door-neighbor White Center offers a plethora of authentic Mexican and Asian restaurants. And recently, the corner of Fauntleroy and California—just five minutes north—has been bustling with new cozy neighborhood bars and restaurants. You can truly feel part of a community in Arbor Heights without sacrificing too many of the conveniences of living in a city. PROVIDES SOLACE WHEN ALL YOU WANT TO DO IS STAY HOME. Arbor Heights has the benefit and the issue of being almost entirely zoned residential. This means that it is quiet, peaceful, and rather beautiful. But this also means that there is very little to eat or shop for, other than groceries and a few tiny strip malls. Obviously, night life in this part of town is non-existent, but you probably aren’t looking at Arbor Heights as being a beacon of partying anyways. This nabe is the farthest south in West Seattle, just barely within the city lines, and is served quite well by Seattle’s stunning bus system. Housing is pricy in this nabe, a bit higher than the overall average for Seattle, and the majority of the residents are families and people nearing middle age. Because of this, this is an excellent community to move into if you have a family or are looking to have one sooner rather than later. The close proximity to gorgeous Fauntleroy Park and the Fauntleroy-Vashon Island ferry makes Arbor Heights an intriguing option for those with outdoorsy aspirations. If only there was a bit more of a commercial side to this nabe, such as restaurants or interesting boutiques, Arbor Heights would likely bloom into it’s own little town, unique from the rest of Seattle. But for now, it serves as a beautiful upper-middle class neighborhood with good access and stunning views of the sound from the right areas. As you stare out into the lush sunset dipping behind the cascade mountains, watching the last few dying rays splash across Puget Sound, a strange sense of peace overtakes you. The mountains, the ocean, the sleepy parks and beautiful view, all of it comes together in a paradise of calm. As the horn from the Fauntleroy Ferry tolls into the waning light, you turn around and walk a few steps to your front door, where you once again admire the wondrous view, and marvel at the serenity in your neighborhood. This a typical night in the quiet West Seattle neighborhood of Arbor Heights. 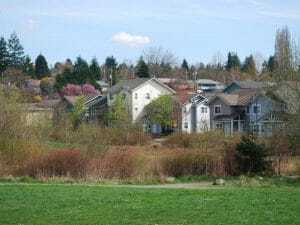 I’ve lived here for all of my 18 years of life, and have no complaints to speak of in regards to this community of baby boomers mixed with a few younger individuals, the people are friendly and the vibe is laid back. There are fantastic outdoor recreation options, the crest of Arbor Heights is only several blocks away from the beachfront, a park (Lincoln Park), a saltwater swimming pool, a private pool and tennis club, and just a short ferry ride away lies Vashon Island. The only downside of this neighborhood is the lack of a real nightlife, which at the moment consists mainly of a neighborhood bar/bistro with an ever changing menu, going by the moniker “Endolyne Joe’s”. The proprietors own several other restaurants throughout the Seattle Metropolitan Area, and the food is always fantastic, the drinks stiff enough, and the wine/beer selection adequate. The truth is, the majority of people in this neighborhood are in their 30’s or 40’s, often with children, and as such, have moved past the party mentality of those in their 20’s. As a result, I would not recommend this neighborhood for singles looking to mingle. Public transportation is, as a general rule, not the best in Seattle, but in Arbor Heights, things seem to work out. 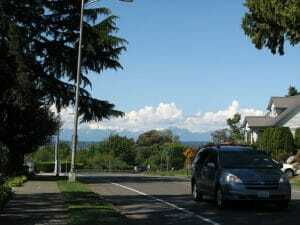 The Fauntleroy Ferry is a mere stone’s throw away, and bus service is usually on time, with a wide array of stops sprinkled throughout the neighborhood. Westwood village is a 3 minute drive, and provides fresh produce from a local fruit stand, as well as a quick bite to eat, and some retail stores. Arbor Heights is quiet, verdant, and peacefully subsiding neighborhood, filled with friendly individuals who are glad to lend a hand. The hustle and bustle of the inner city seems far away in this beautiful corner of Seattle, tucked next to the ocean, dozing to the rhythm of the tides.